Everyone needs a break now and then. That’s why we invented spring break. Yes, spring break is a U.S. born phenomenon, but it has spread to other parts of the world as people realize just how much fun and relaxing this week-long getaway can be. Here at home, students and members of the workforce look forward to taking a break from reality, especially when the holidays are over and people feel a bit gloomy. Spring break will be here before you know it! Here’s everything you need to know to plan the vacation you need. Where you go has everything to do with what kind of mood you are in. Are you in the mood for the feeling of sand between your toes and clear, sunny skies? Or are you daydreaming about spending a week surrounded by nature with the promise of an exhilarating hike through the mountains? If the first, you can’t go wrong with Hilton Head Island or Ormond Beach, Florida. Both beaches have become popular spring break destinations for everyone from college students to families. Whether you choose Hilton Head or Ormond Beach, you can enjoy things like parasailing, jet skiing, sunbathing and an active nightlife. For those of you who are looking for a quieter retreat, the mountains of Branson, Missouri, are calling your name. Here you can spend your days getting in touch with the natural world while on a hike, and then head into town for lively entertainment options. Regardless of where you decide to spend your spring break, it’s always great to go with a group of friends and/or family. Not only will you have plenty of people to hang out and enjoy your vacation with, but it can be much more cost effective. With a group, you can split the cost for things like travel, hotel stays and dinners out. It makes it easier to save up for the trip when you know you don’t have to be the sole financial backer of your adventure. Make sure you take the time to plan what all you need to bring with you. You probably know the basics, like swimsuits, towels and sunscreen, but there are other important items you don’t want to leave home without. Ladies, don’t forget to pack waterproof mascara, lip balm, a bathing suit cover and a small tote bag to take with you to the beach. Sunglasses and flip flops are a must, so triple-check that these two items made it into your suitcase before you leave. It’s also a good idea to pack a book or a few magazines to read while you’re relaxing poolside. Pack plenty of casual outfits to get you through the week, but pack something a little dressier for a night out on the town. And although you’re going to the beach, pack clothes for cooler days, too. You never know when the weather might take a turn, and the evenings can get a little chilly, sometimes. You should take just as much care when packing for a trip to the mountains. You won’t have as much fun on your outdoor adventures if you forgot your hiking boots, a windproof jacket and a few cold-weather accessories like gloves and a hat. Just because you won’t be at the beach doesn’t mean you won’t need sunscreen, so make sure you have some packed. You should probably also keep travel sized bottles with you while you’re out on the trails so you can reapply. 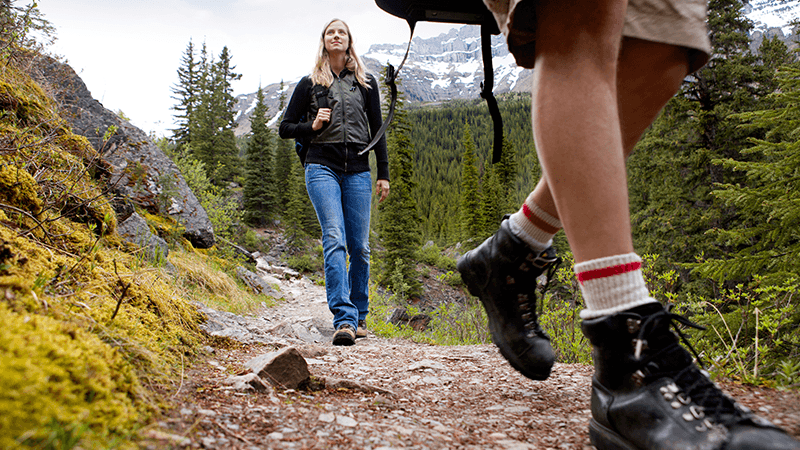 Hikers should pack long socks and pants for the trails. But swimsuits should still be on the list so you can all cool off in the pool afterward. If you’re not sure what the temperatures will be like while you’re there, call the resort ahead of time and ask them for advice on what to expect. Spring break is supposed to be fun, so make sure you have some! The more planning you do upfront, the more smooth sailing your trip will be, allowing you to fully relax and enjoy your time. But if you miss plans for a certain day, don’t fret. Keep calm and relax on — chances are you’ll still get the spring break you hoped for. If you need help finding things to do at your vacation destination, visit Spinnaker Resorts. Our website has great lists of activities, restaurants and best places to visit while you’re in Hilton Head, Ormond Beach, or Branson.